Travel industry publications and analysts are paying a lot of interest to China’s booming travel market. My brother John and I observed a dynamic Chinese travel market in our visit earlier this year. Despite the sheer size of the market, trips and expenditures per capita are low compared to developed markets such as the U.S. Mobile growth is expected to be strong over the next few years. This article summarizes a study that focused five Chinese travel segments: business, package, self-driving, backpackers, and luxury shopping travelers. The details of the study may be useful to travel companies formulating strategies to appeal to the identified segments. For the most part, the tips are self-evident. The advice on how to implement them is more useful. 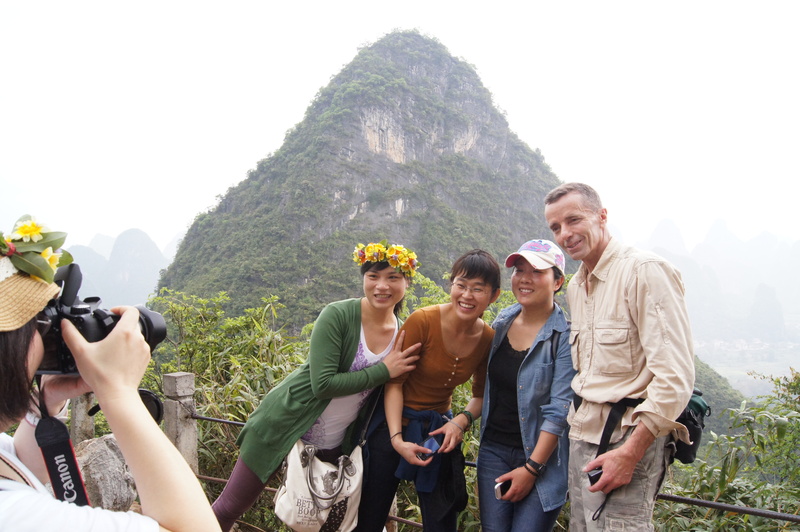 Understand your customers (by traveling to China and getting to know them). Recruit some locals to help you. Localize your product and content (duh). Receive money through local payment systems (and in the local currency). There’s an un-enumerated but useful 6th tip at the end of the article to promote your brands on the local social channels: Weibo, Renren and Kaixin. Another notable comment from the interview is that Orbitz is still sorting out its relationship with metasearch following Priceline’s Kayak acquisition and Expedia’s Trivago acquisition. It sounds like Orbitz has no strategy for dealing with the new metasearch landscape. The Priceline group has just five businesses. Expedia has more than a dozen. As far as the shareholders are concerned, the Expedia-TripAdvisor spinoff has been a resounding success. Yet this article makes the case that Expedia is experiencing some competitive disadvantages as a result of the split and may even want to consider reestablishing some ties. By working with credit card companies, TripAdvisor can finally verify that reviews were posted by people who paid to stay at a property, an assurance previously limited to sites like Expedia and Priceline. American Express cardholders can link their card accounts to their TripAdvisor profiles and in exchange receive exclusive travel deals and content. Not surprisingly, TripAdvisor’s new app is half booking tool and half travel guide. Users wanted transparent pricing information, including total price, but this is not shown in Google Hotel Finder and rarely in other hotel metasearch systems. Users had a hard time finding hotels near attractions and Points of Interest. Users wanted better review quantity and quality. Google reviews are currently sparse. For example, TripAdvisor had 10 times as many Dallas hotel reviews as Google Hotel Finder. Despite Google Hotel Finders’ shortcomings, Google is iterating quickly to improve it. Multiple destinations for city attractions. In-Map display of flights, hotels, and restaurants for which the user has booked reservations. Search for upcoming events at venues of interest. Although it offers hotels and cars, Skyscanner has primarily been a flight metasearch site. Its recent acquisition of Spanish hotel metasearch site Fogg may signal a greater emphasis on hotels in order to compete better with Kayak. It turns out that Sequoia’s transaction was a purchase of shares from an existing shareholder rather than a new investment. Kayak is or soon will be available in Australia, the Netherlands, Hong Kong, Singapore, Ireland, Mexico, New Zealand, and Belgium. Once those sites are online, Kayak will have local sites in 27 countries. Bookings in the Netherlands and presumably some of the other new sites are being handled by Booking.com. Australian reservations and customer service are initially being carried out by Hotels.com. Travel metasearch sites profit from both metasearch referrals and cost-per-click (CPC) advertising referrals. The amount a site earns from a referral is correlated with how far through the conversion funnel it occurs. A single search can generate multiple referrals, earning more money for the site, but if a site generates too many referrals per search, the CPC will drop. Even though Pintrips has travel functionality that Pinterest lacks, Pintrips chose a confusingly similar name. With 660 million travel-related pins, Pinterest has more travel pins than TripAdvisor has reviews. In addition to consumer users, travel supplier and travel media companies are heavy Pinterest promoters. This was a private equity sale of a UK OTA specializing in flights, cars and hotels for European and African beach destinations. DMO stands for Destination Marketing Organization, aka, Convention and Visitors Bureau. This article presents a brief history of DMOs, noting that many added booking functionality in response to demands from local hotels. Many of these homegrown booking sites were costly and performed poorly. In response DMOs have partnered with OTAs, with Booking.com signing notable agreements with New York City and San Francisco recently. Expedia and Travelocity have also powered DMOs, the volume and profitability of such sites has not historically been high. Now New York state has joined the legal assault on Airbnb. The New York State Attorney General has subpoenaed tax information and home addresses of the 15,000 Airbnb hosts who rent out their apartments in New York City. In response Airbnb is asking supporters to sign on online petition to help stop the lawsuit. 16,000 people have signed up so far. Europe-based Odiego, which already owns four online travel brands, acquired OTA Liligo from SNCF. Liligo.co.uk is the only flight booking site I’ve ever seen that lets you buy offsets to mitigate the carbon emissions generated by your trip. Perhaps this mindset explains the bright green background of the site. Despite growth in the agency model for hotel distribution, the merchant model remains popular and merchant volume is expected to grow faster than agency volume. Alternative forms of payment are on the rise. It’s not clear to me what these are. I would guess it might include services like PayPal. Think “TripAdvisor for families,” with social, trip planning and metasearch booking functionality. The site offers an attractive, usable interface but is noticeably lacking in user-generated content when it comes to overseas and lower-than-top-ten U.S. destinations. For example, it was of little use in planning a family trip to Sydney Australia or Denver Colorado. Until the site attracts a larger audience and acquires more user-generated content, it will only be useful for the most popular U.S. destinations. Seeking to differentiate itself in a crowded field of competitors like TripIt, itinerary management app “Flying” features hip aesthetics and a rather strange option to place an order to receive a 3D-printed representation of your itinerary. Best Western and Holiday Inn are lauded for the quality of their digital initiatives by L2, a think tank for digital innovation. Other articles have reported on the digital acumen of Best Western and Holiday Inn, but as the quote says, loyalty is a key component. I stayed in a Holiday Inn on a recent trip and the experience was decidedly mediocre. Regardless of the quality and features of their website, they’re going to have a hard time being competitive if the property I stayed at is at all representative of the entire chain. My advice to hotels would be to, above all, ensure that the quality of their product is top-notch. Hotels may need expert distribution management to succeed today, but online reviews have made quality so transparent that quality needs to come first. Despite the abundance of surveillance cameras in Las Vegas casinos, “the Associated Press found that 23 of the 27 major Strip casinos have no surveillance in hotel hallways or elevator landings.” The article’s lead describes how a hotel maid was chased down an unmonitored hallway by a nearly naked man. Blackstone is set to enjoy a payday from yet another of its hotel investments. An overview of Blackstone’s recent moves to extract profits from its array of hotel holdings. For the first time, a major Japanese airline is going with Airbus instead of Boeing. JAL’s decision to buy 31 A350s was likely driven by Boeing’s hesitation in committing to a new version of the 777, prolonged teething problems with the 787 and a possible below-cost offer from an Airbus eager to crack the Japanese market. For all the glossy videos from the IATA end of the discussion and continued poking at the project from the likes of the Business Travel Coalition, there is actually very little progress being made in terms of outlining how the wider “future of distribution” will evolve. This is not a share market valuation. The title is precisely correct; the article reports on “brand value” as determined by the company Brand Finance. The results do seem aligned with other promotional, financial and anecdotal indicators of brand strength. The top 5 airlines are Emirates, Lufthansa, Delta, Singapore Airlines, United and China Southern. One of the commenters to this article remarked that the new seats are uncomfortable, echoing a comment I heard from a Seattle aviation reporter when the seats were first unveiled. Anyone had the chance to try one? Finally, an airline loyalty program that allows families to pool their miles. When all our kids were still at home, we would frequently spend more on airfares in a year than many individual frequent flyers but we never enjoyed the rewards that individuals earned. “Under the new TrueBlue Family Pooling Program, each family, which can consist of two adults and up to five children under age 21, designates a head of household, who can redeem points from the family account for any family member’s travel. The airlines are not likely to get documents on past mergers because the records are privileged. A brief back story on the FAA’s move to relax in-flight rules for electronic devices. Air New Zealand offers up another humorous safety video. Starring Betty White, it is set in a Florida retirement community. Unfortunately some of the humor is based on age-related disabilities and upon consideration, may be exploitative. Avis is rotating out Zipcars at 40,000 miles instead of the previous 50,000 and testing fleet-sharing between the Avis and Zipcar brands. Cars are used by Avis on weekdays and Zipcar on weekends. The article is chiefly concerned with how mobile devices blur the personal and professional lives of business travelers, but there is another dimension to this personal/professional crossover. I would suggest that the number of people who combine professional and personal travel is growing. Why not take a few vacation days and see the local sites and people if your business travel takes you to a great destination? As long as employees pay for the extra days out of their own pockets and controls are in place to help ensure that trips are not being booked without business justification, there should be little downside and lots of upside: businesses end up with happier, more globally aware employees. The closure of U.S. national parks is causing hundreds of millions of dollars of tourism revenue for surrounding communities. This is why fiscally strong states like Utah reopened their parks with state money. The most interesting part of the interview is when Disney Resorts Executive Chef Lenny DeGeorge tells how much more sophisticated Disney guests’ palates have become over the years. Report suggests that airlines could increase ancillary revenue by offering a range of a la carte dining options with multiple opportunities and locations for purchasing them. What do travel companies look for when hiring travel bloggers? First-hand destination experience for places writing about. This piece refers to print advertising. My guess is that the total spend of any one company featured here would be a rounding error in the amounts Expedia and Priceline spend on Google ads. The ads communicate that users can travel on a shoestring by showing models of famous European landmarks, made out of shoestrings! Promotion of your own created content: links to your own articles and posts. Sharing of curated content: links to articles and content relevant created by others and relevant to your audience. Conversation: tweeting to others, asking and answering questions, thanking others for sharing your content. Interesting analysis on timing social media posts for optimal engagement. No one realized until recently that the main New Zealand islands had never been officially and legally named. Interestingly, no visitors came after movies were shot in one Georgia town, but thousands came to see the town after an episode of “The Walking Dead” was filmed there. I was once arrested in Milan for turnstile jumping. I managed to talk/bribe my way out of it, but these folks have far more creative excuses than I did. Listen to Marissa Mayer and Michelle Obama- go on vacation! This guy traveled nonstop for 23 years. To every single country on earth. It’s pretty amazing. This article sums it up for me (though I’m 16 countries short of 66). I especially recommend #13…I arrived at SeaTac last year enroute to Sydney via LAX, and managed to miss the crucial information that I needed a visa. I applied for one online in the concourse, was pulled off the plane at LAX and interrogated, talked my way back on, and was interrogated again in Sydney. Lesson: Check visa status!!! Giant hornets menace the earth! Bugs are scary! This article is a bit over-the-top, but I will attest to sand flies being evil, evil, evil (and apparently I’m very tasty to them). I’m all about the food when I travel. I love food markets- you can experience so much of the local color and flavor. I’ve been to 8 of these, with Copenhagen’s on our must-do list for next month. I also really, really love weirdness when I travel. But this article revealed…Seattle is apparently not the only place with a nasty gum wall! …and I’m a sucker for funny, misspelled road signs. I have my own collection, but this one is pretty good. I think we’ve all heard this story by now, but I included it anyway if for no other reason than to highlight the TSA’s ridiculousness. Apparently this boy sneaks into theme parks and steals cars, too. Another amazing trip I took was to Kenya and Tanzania to see the wildebeest migration (note: it can be done cheap!). It’s so worth it- here’s a good trip report. I’m a huge proponent of never, ever checking luggage. It’s tricky at first- here are some tips to cure the overpacking urges. So, Munich’s crazy Oktoberfest is over. Here’s what drunken visitors left behind. Anyone seen that missing $67K? And finally, I shall leave you with a song in your head. A really annoying song. Cheers! In a 2012 survey, respondents identified interactive maps as the most used helpful content in travel applications. If users run Foursquare’s new iOS app in the background, it will display tips when users walk into a business. Someone walking into a restaurant, for example, may receive tips on the best items on the menu. It’s hard to believe it’s taken Google so long to make this move. Microsoft has released Remote Desktop Clients for popular mobile platforms. This is not really surprising given the concurrent releases of the radically updated iOS 7 and a new 64 bit phone platform. I wouldn’t panic much; the kinks will eventually be worked out. This fault in the new phone may be more serious and difficult to correct as it may be hardware-related. Password crackers are training their systems to crack relatively long pass-phrases by text-mining online books, online comments and similar sources that contain large numbers of natural language phrases. Microsoft is using the Klout online reputation service to get the information. It’s amazing that anyone would think it is okay to hijack attendees’ Twitter accounts for promotional purposes. The majority of respondents to this latest Skift survey said they do not mind being asked to turn off their electronic devices on takeoff and landing. As with a previous Skift survey that I criticized, their findings are only representative of internet computer users who were not using a mobile device and not using the Safari browser at the time they were selected for the survey. In an interesting mix of social media outreach and qualitative research, Hyatt engaged travel bloggers and influencers to host 4 Twitter chats on traveler needs and wants. The initiative generated almost 9,000 tweets and loads of qualitative information about what hotel services and features travelers value. Hyatt could use the results to identify emergent themes and hypotheses that could be explored in a follow-up study with a proper random sample of current and potential guests. Such a study would properly inform business strategy and operational decisions. Hyatt created an infographic summarizing the Twitter results. The information in the infographic is interesting but because it was drawn from a convenience sample of Twitter users, it is in no way representative of Hyatt’s customer base and is more or less useless for reliable managerial decision making. Myth: “Big Data is a new phenomenon.” Most of the analytics covered by the Big Data label have been around for at least a couple of decades. It’s just that new technologies have made them available to a larger number of organizations and a new label has popularized it. Myth 2: “You need tons of money.” You can do some powerful analyses on a modest budget by taking advantage of technologies such as the latest open source systems. However, I agree with the author’s assertion that you need “damn good people.” A small, good in-house team is likely to be much more valuable than expensive external consultants, products and services. The trick is to build a great team and that requires lots of patience and some expertise to do the hiring. Let me add my own myth: “Gurus with proprietary algorithms can give us an edge on the competition.” I’ve observed people who seek out consultants and big data gurus, acting on the belief that there are “lone geniuses” out there with “secret sauce” algorithms that will enable us to beat the competition. Outside of really big companies like Google, Microsoft and IBM, most techniques and algorithms needed for competitive big data-style analytics can be found in academic and industry literature. If you follow the advice in the previous bullet and build a core in-house team of PhD and equivalent level scientists and analysts, you can very likely replicate and exceed the offerings of the gurus and do it for less money than paying consulting or licensing fees. Disney has spent around $1 billion for a system to collect comprehensive data on every guest’s activities. The company’s intent is to use analytics and personalization to sell more products, services and visits. The new system raises obvious privacy concerns, but guests will be able to opt out. Another useful incremental improvement from the search giant. Google’s initial proposals to comply with European antitrust directives earned a lot of negative feedback. Its follow-on efforts have gained a better reception. Search result links to rival specialist search providers (such as travel companies) are said to be significantly more visible. This in-depth profile of the Facebook COO leaves little doubt that she is a remarkable tech business leader. This long article, adapted from the Nick Bilton’s forthcoming book, details the conflicts, “betrayals,” personalities and San Francisco/Silicon Valley culture that gave rise to Twitter. Current Twitter chair Jack Dorsey denies Bilton’s story that Dorsey gave the then-leaders of the firm that birthed Twitter an ultimatum to fire Twitter co-inventor Noah Glass. Broadcasters lost a lawsuit against Barry Diller’s Aereo in New York, but that didn’t stop them for suing Aereo again in its newly launched Utah service area. Nest has proved that you can be cool and innovative without targeting trendy product markets. The new version of the Paperwhite is with little doubt the best e-reader ever brought to market. Can a 10-12 week crash course really turn students with little or no previous computer science knowledge into Silicon Valley-worthy coders? I’m sure many of them who complete the courses will be able to hack together simple applications but you wouldn’t want to bet the long-term success of your business on an entire crew of shallowly educated coders. Interesting piece on how Wikipedia battles unscrupulous promoters who break its community rules. The new higher resolution Xbox One Kinect sensor is enabling fitness programs so sophisticated they can analyze your movements, spot problems barely noticeable to human observers and teach you correct forms. Google has released a video that briefly covers its research in quantum computing.